Built to deliver the insulation of warmth and protection where you need it most, Icebreaker MerinoLOFT Ellipse Jacket is exceptionally comfortable and very environmentally conscious. 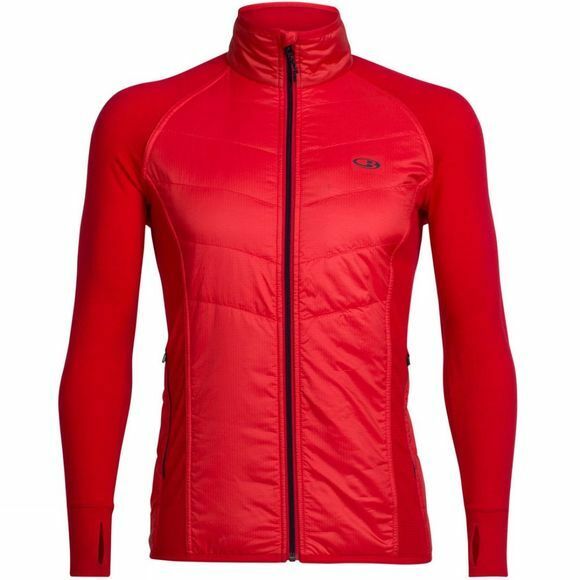 Icebreaker's own MerinoLOFT found in the chest panels provides you with comfortable warmth and breathability, whilst the arms feature soft and quick drying merino wool and recycled polyester blend fabric. Found on the inside and out, zippered pockets help to keep those hand held essentials to hand, for when you need them the most.